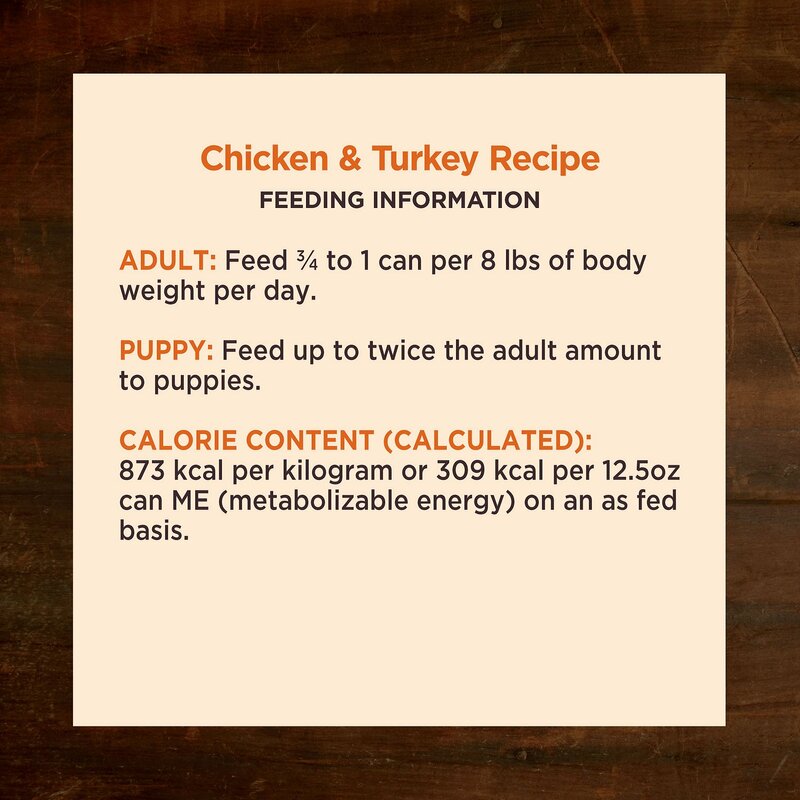 Wellness CORE Grain-Free Hearty Cuts in Gravy Chicken & Turkey Recipe Canned Dog Food indulges your pet with tender cuts of poultry that can be served as a complete meal or tasty topper. 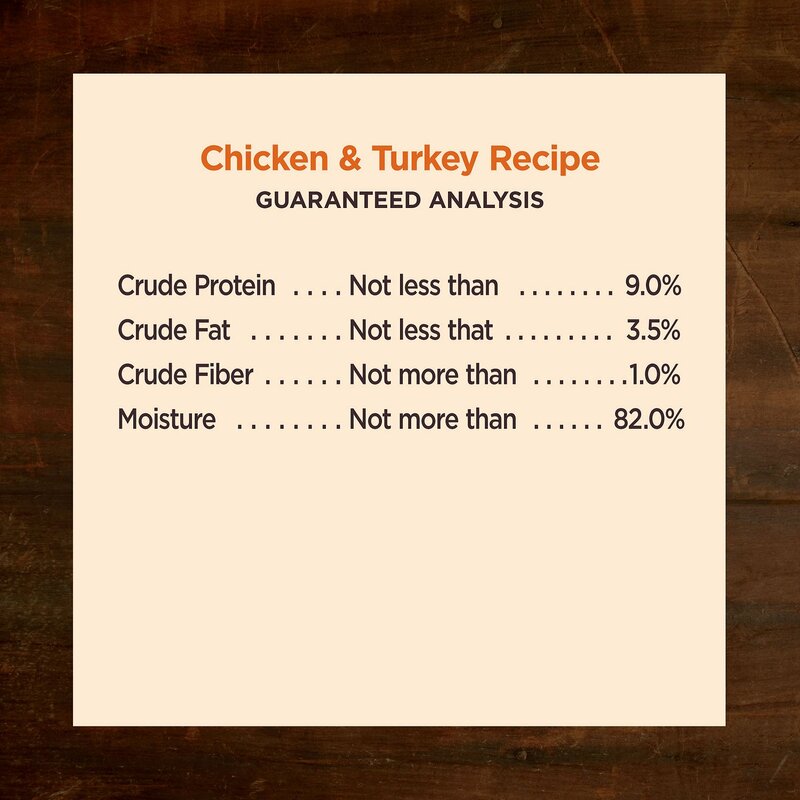 No dog can resist the satisfying taste of savory chicken and turkey meat surrounded by a rich gravy that’s full of flavor, not fillers. 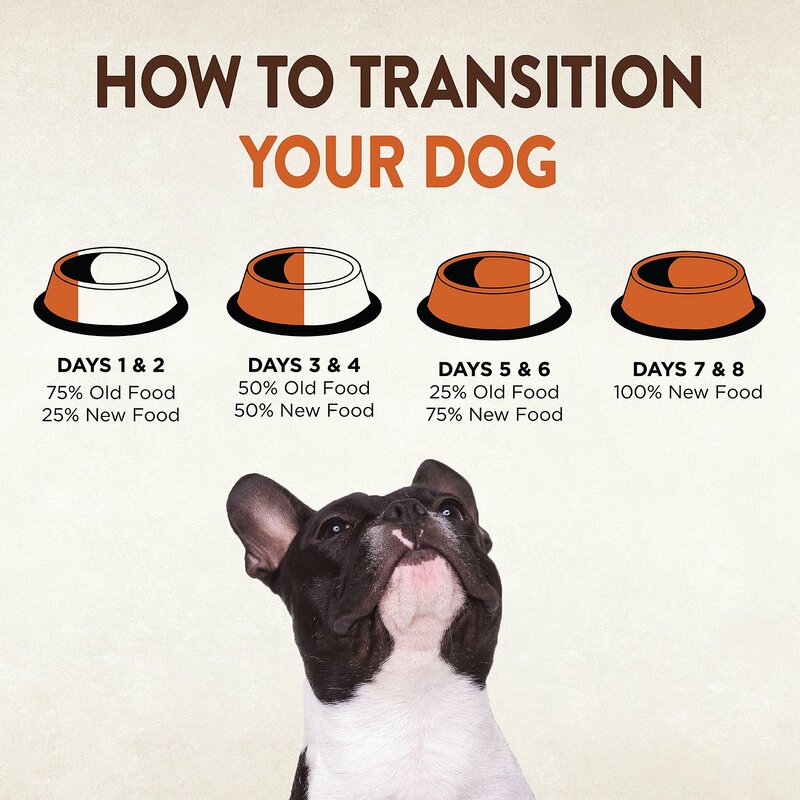 This healthy recipe nourishes your dog from the inside out with a variety of nutrient-dense superfoods, including blueberries, spinach, broccoli, kale and sweet potatoes to support his inner wellness. 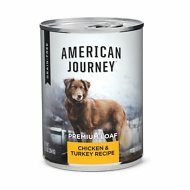 My Yellow Lab mix likes this food and has no problem with digestion. Looks and smells good :). My Wheaten Terrier loves it! 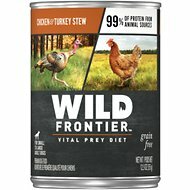 I have a picky 1 year old Wheaten that loves this canned food to flavor her Core kibble. Large bites of meat both of our Danes enjoyed the can mixed in with the dry for a mid week treat. I purchased this food hoping to switch to another brand that appeared to be healthier than my previous food. I ordered the canned and dry versions of this brand so i’d have options. Sorry to say my doggy did not like this food at all. It’s been 2 weeks and he barks a lot before attempting to eat it. Tried mixing the canned version with the dry, but he’s still not happy. I gave him some of his previous food and he’s happy again. Need to switch back to other brand. Very impressed with my latest order, love the fast service too. 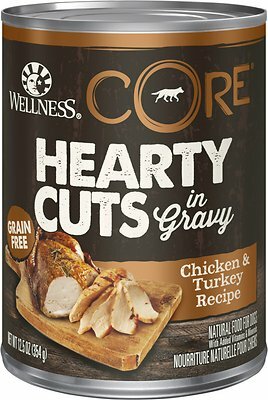 Wellness CORE Grain-Free Hearty Cuts in Gravy Chicken & Turkey Recipe Canned Dog Food, my dogs love it I also appreciated this time my cases were packed in boxes and were not dented like the first shipment. The food seemed fresher as well. Please keep sending my orders in those goodies cardboard boxes and great fresh food. I was so very happy!!! The discount is excellent and cannot say enough good about this service. The hearty cuts is an extra processing or two that makes "slices" out of the thick puree that is the regular version. I put a tablespoon of food and add a bit of water - stir with the dry. Had hoped to skip a step with this - not much liquid and end up having to use more or break up the chunks. Tried it. Won't buy it again. My picky eater really liked it. It looked and smelled really good. Will be trying another flavor on our next order. I didn’t think the dogs could like anything better than the grain free beef and chicken from Wellness, but they just devour this as if they never ate before. My 17.5 year old Lab/Beagle mix really likes this food. Like many oldsters, she is PICKY. She has been eating this food for about three weeks and shows no sign of tiring of it, very pleased.